Returning players will be able to check in online. First year players will need to provide ID and proof of nationality, ie birth certificate. First year Australian players must show US residency or entry in the US by or before August 1st (passport). 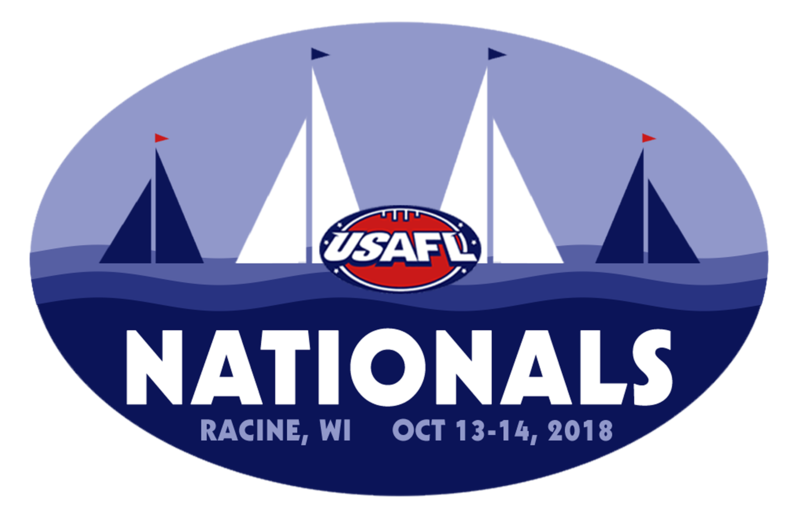 The 2018 USAFL Nationals are headed to Racine, WI on October 12 - 14. The Soccer Complex of Racine (SCORe) & Franksville Park is located at 9509 Dunkelow Road, Franksville, WI 53126. Located a straight 5 miles East of Interstate 94. Players will travel from all over the USA representing more than 40 major US cities. See below for weekend schedule of events, subject to change.